Gold Revitalizer uses natural Gold ion formula to reach, exfoliate, and moisturize even the skin's deepest basal layer. Gold negative ion formula has the ability to seep through to the hard-to-reach barrier zone and reactivate metabolism of the cell tissue structure. The formula emits approximately the same electric currents as the body, so the Gold active elements are incorporated into the body in a natural and safe manner. Healthy baby skin contains 80% negative ions and 20% positive ions. This ion balance results in babies' smooth skin. 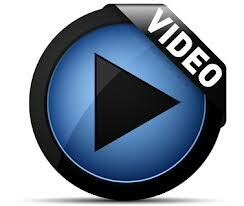 When negative ions begin to decrease, skin cellular metabolism wanes and skin problems arise (i.e. spots and blemishes appear). Achieving Beautiful Skin with a Simple Skincare Unlike peeling that uses acid and/or polish, Gold ion formula will not cause damage to the skin. After old skin is exfoliated through peeling, Gold active elements, which include collagen, squalene oil, elastin and Vitamin E, will moisturize the skin to the fullest. Water, Butylene Glycol, Carbomer, Glycerin, Potassium Hydroxide, Aloe Barbadensis Leaf Extract, Soluble Collagen, Diacetyl Boldine, Polysorbate-20, Methylparaben, Allantoin, Dipotassium Glycyrrhizate, Potassium DNA, Hydrolzyed Wheat Protein, Hydrolyzed Conchiolin Protein, Salvia Officinalis (Sage) Leaf Extract, Bifida Ferment Lysate, Glycirrhiza Glabra (Licorice) Extract, Scutellaria Root Extract, Saxifraga Samentosa Extract, Gold, Sodium Hyaluronate, Tocopherol, Squalane, Seaweed Extract, Caprylic Triglyceride, Fragrance. 5. Finish with Platinum Deep Treatment or Gold Amber Rich Lotion. 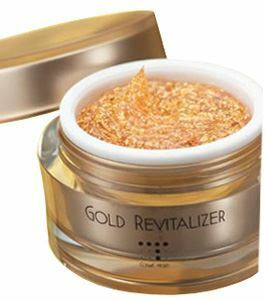 You will find Gold Revitalizer’s gold power when you actually try it. Gently massage the gel on your skin for 30-60 seconds. After 15 seconds or so, impure properties in the deep layers within your skin come off with the gel. Cosme Proud Japan is responsible for the manufacturing of Gold Revitalizer and they take full responsibly for their claims.